P Chidambaram's response came a day after PM Modi taunted him as "recounting minister" of the UPA regime, during his public meeting at Tirupur on Sunday. 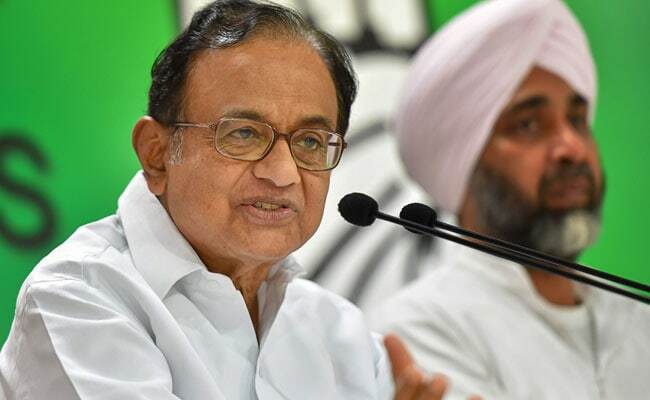 Senior Congress leader P Chidambaram on Monday hit back at Prime Minister Narendra Modi for apparently calling him "recounting minister", insisting that there was no re-count of votes in the 2009 Lok Sabha polls as was being said. P Chidambaram wondered "how many times can people in high places peddle a lie". "In the 2009 elections, in Sivaganga constituency, there was only one count and no re-count. A simple check with the Returning Officer would have confirmed that there was no re-count. How many times can people in high places peddle a lie?" Mr Chidambaram said in a tweet. The former Union minister's response came a day after PM Modi taunted him as "recounting minister" of the UPA regime, during his public meeting at Tirupur on Sunday. Citing his government's step of offering tax exemption for those with income of up to Rs 5 lakh, PM Modi had said that it was a reflection of genuine concern for the middle class, unlike the previous UPA regime. Referring to this, PM Modi had said he wanted to recall the state of affairs during the UPA regime. P Chidambaram, then Home Minister, was declared elected after the votes were tallied again vis-a-vis the final round. PM Modi had made the same "recounting minister" remark during his 2014 Lok Sabha election campaign as well.